As evidenced by the positive audience response at Parsons Dance’s NC State concert, David Parsons, artistic director, is a master of crafting choreography with mass appeal. By choosing a single theme for each piece, Parsons ensures that his work is easily understood by all audience members. He then creates seemingly endless movement variations on those same themes, which ensures the engagement of newbies and dance-savvy viewers alike. In the aptly titled, Round My World (2012), Parsons dancers explored circular movement in many forms. This episodic sextet was structured primarily in duets and group choreography. With the exception of a near collision between two women early in the work, dancers slipped around and among one another with natural grace. In one memorable section women spiraled around their male partners like the stripes on barbershop poles, building a string of circles in the horizontal plane. Zoe Keating’s varied cello stylings dictated equally varied movement characteristics for each section of Round My World. As Keating introduced lower, pluckier notes in her music, Parsons’ choreography became more grounded. Over time dancers transitioned from joyful, balletic movement vocabulary to punchy rhythmic footwork and winding pelvic circles. With extreme confidence and sensuality, the dancers also popped their chests forward and rolled their heads, sending hair flying in a circular shape. This Latin dance section illustrated that the placement of a circle in the body can strongly dictate how it is interpreted in a culture. Perhaps the best thing about this work was a choreographic choice that I typically dislike – circular (A-B-A) structure. Parsons ended each episode with the image of a circle, and, notably, maintained the image’s novelty each time it appeared. By varying the circular design – dancers linking hands in a circle, lifted women with rounded port de bras, et cetera – and by building each image suddenly on the stage, Parsons gave his composition a sense of wholeness. And, given the work’s theme, we can only assume that he planned it that way. 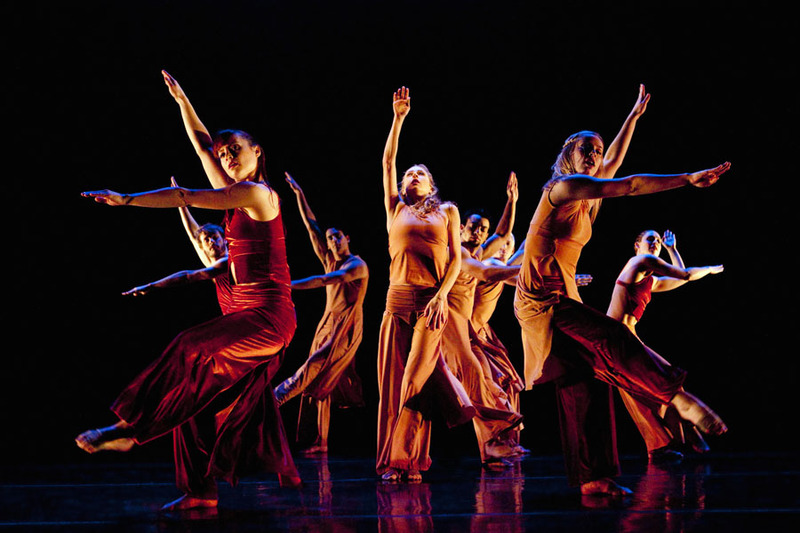 Ebben (2009) showcased dancer Melissa Ullom’s physical prowess and emotional depth. Set to the famous aria “Ebben? Ne andrò lontana”(Well then? 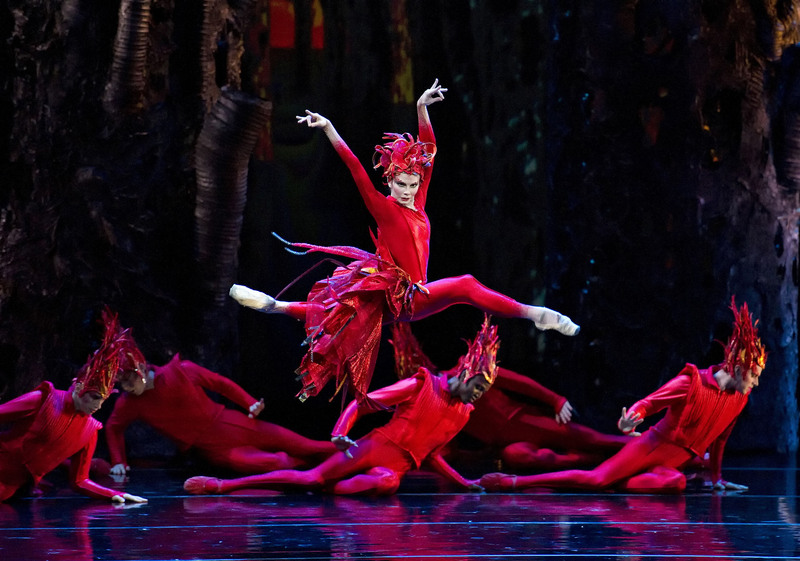 I’ll go far away) from the opera La Wally, Parsons’ choreography channeled the strength of opera’s heroic title character. Ullom began the dance with a slow, circular stalk around the Ken doll-esque Eric Bourne, who stood, unmoving, facing upstage. With a percussive musical shift, Ullom’s initial series of extended single-leg balances became more mobile, evolving into turns and held arabesques on tiptoe. A portrait of tumultuous romantic love, this work climaxed with a confrontation between Ullom and the then-animated Bourne; in this scene, Bourne menacingly stared at Ullom from overhead as she laid on the floor, pelvis pushed up in sexual strain. A smart choice on Parsons’s behalf, Ullom conveyed her anguish more through bodily tension than facial expressions; the work could have easily become overdramatic had he chosen the reverse. Below is a video of this piece, performed by two women in NYC’s Bryant Park (2010). 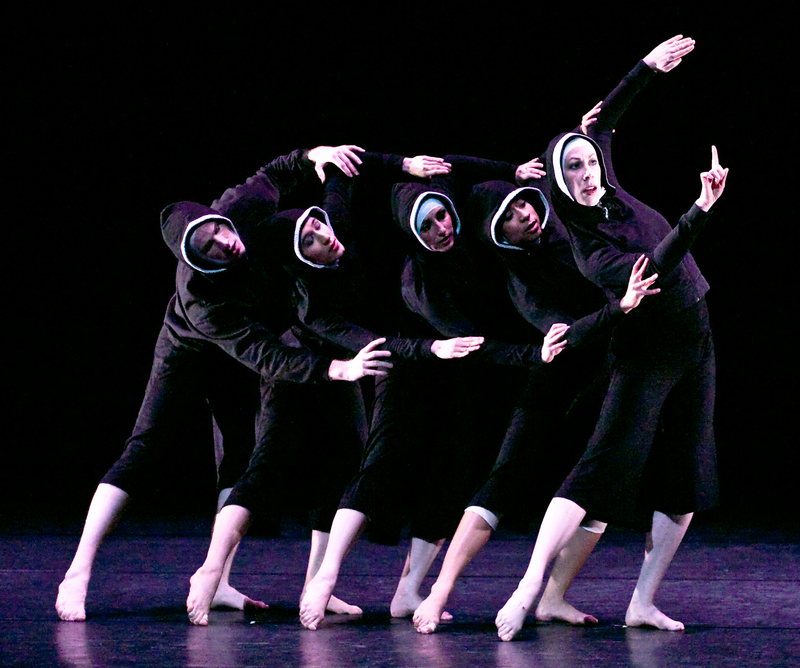 Ebben is a snippet from “Remember Me”, a full-length dance-theater work and rock-dance opera choreographed by David Parsons. Learn more about it here. But Kind of Blue proved that Parsons choreographs facials well, too. Originally commissioned by Italy’s Umbra Jazz Festival to commemorate the 75th anniversary of the birth of Miles Davis, Kind of Blue (2001) paid tribute to the artist’s best-selling album of all time (1959’s Kind of Blue). Set to Davis’s “So What”, two couples in blue and red invited us into a world where the dancing was cool and the jazz was hot. Downstage solos and duets featured flexed feet, finger snaps, wrist circles and shoulder isolations. Upstage, dancers crossed like passersby on a dark city street, stopping occasionally to watch their fellow performers. This pedestrian element introduced a level of voyeurism, but not in a creepy way; interactions between dancers stayed friendly during this work, even in moments of competition. 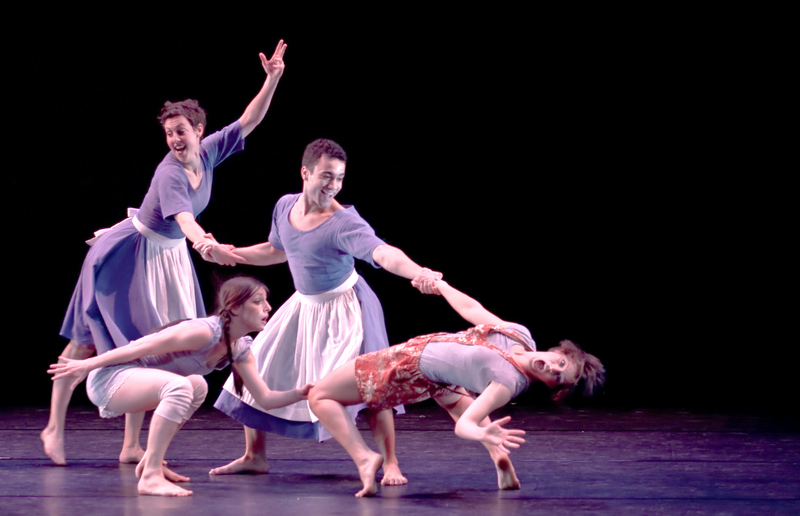 Dancers’ playful facial expressions atop upbeat choreography made this work a joy to watch. Davis would have been proud. A portrait of the working class, A Stray’s Lullaby (2012) featured four dancers in dingy garb, dimly lit and gently stirring to the sounds of a bustling city street. After a group section of slow, low-to-the-ground turns, planks and pounces, dancer Christina Ilisije broke away from the group for a solo that was ugly by design. Ilisije abstracted contorted, angular body positions with flexed feet and staccato rhythms. In one repeated string of choreography, Ilisije pulled herself forward like a broken doll, contracting one foot and thigh to inch her seated body forward. Yoga poses like Wheel, Fish and Candlestand made abrupt appearances in Ilisije’s choreography, but the dancer never took a calming breath. Jason MacDonald’s aggression took on a different character in the solo that followed. Set the gruff twang of Kenji Bunch’s voice, MacDonald delivered jousts and agitated full-body quakes with the ferocity of a man fighting for his life. As time progressed, MacDonald’s movements became increasingly animalistic, which was best-illustrated by his choreography’s final moments. Lit from the front like an animal caught in the headlight of a moving car, MacDonald defensively sprang forward on all fours, his silhouette growing large behind him. After a pregnant pause, MacDonald retreated, his solo bleeding into a romantic duet by Melissa D’Amario and Ian Spring that was tense both physically and emotionally. In a return to circular structure, this work ended as it began…but this time, with more hope. Out of the dim collective banded together by hardships, D’Amario emerged, reaching upward toward a light as the stage grew dark. And the breathtaking solo choreography didn’t stop there. The evening came to a close with Swing Shift (2003), an upbeat octet with playful movement vocabulary. Costumed in red wine velvet and beige nylon, dancers partnered with one another in swinging lifts, long extensions and circular hopping patterns. Parsons’s choreography took significant influence from Kenji Bunch’s accompanying musical tracks, which featured primarily string melodies and driving piano beats. In a distressing solo by Melissa Ullom, for example, whispered words and praying gestures existed among a musically metered series of angular poses. 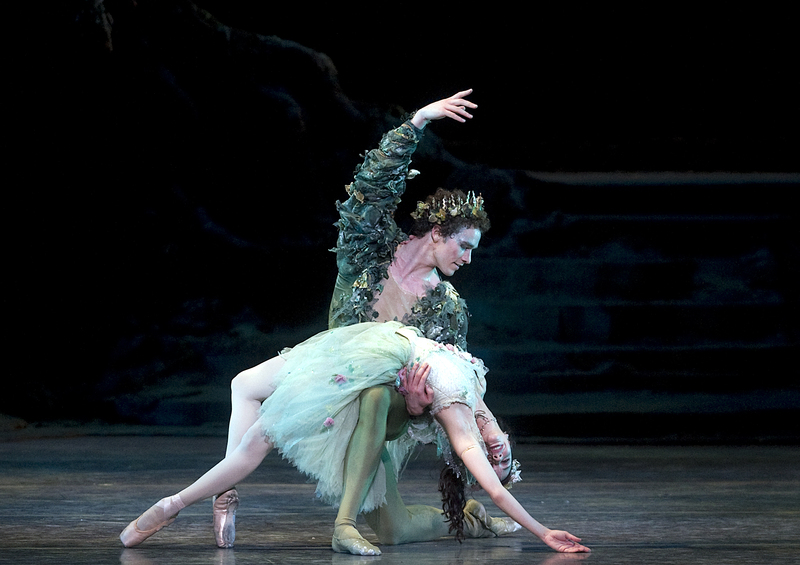 In a notable program change, Swing Shift introduced Parsons apprentice Lauren Garson as an unbilled eighth dancer. Though she was enthusiastic and well-trained, Garson appeared to be slightly under-rehearsed. After an obvious collision with Ullom during a sideways traveling step early in the piece, Garson stood out again in later unison choreography as she danced just slightly out of synch with her comrades. Despite these minor performance flubs, Swing Shift gave audience members something to smile about at the program’s close.